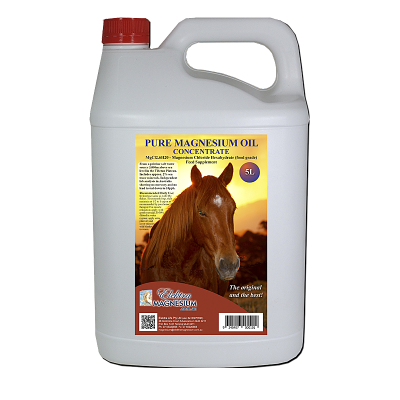 Magnesium is the one mineral that is most likely deficient in animals because magnesium is lost during stresses and traumas, excessive exertions, inclement weather or travelling. We also have one of the lowest magnesium soils in the world in Australia. Therefore, grasses are high in sugars and low in magnesium. 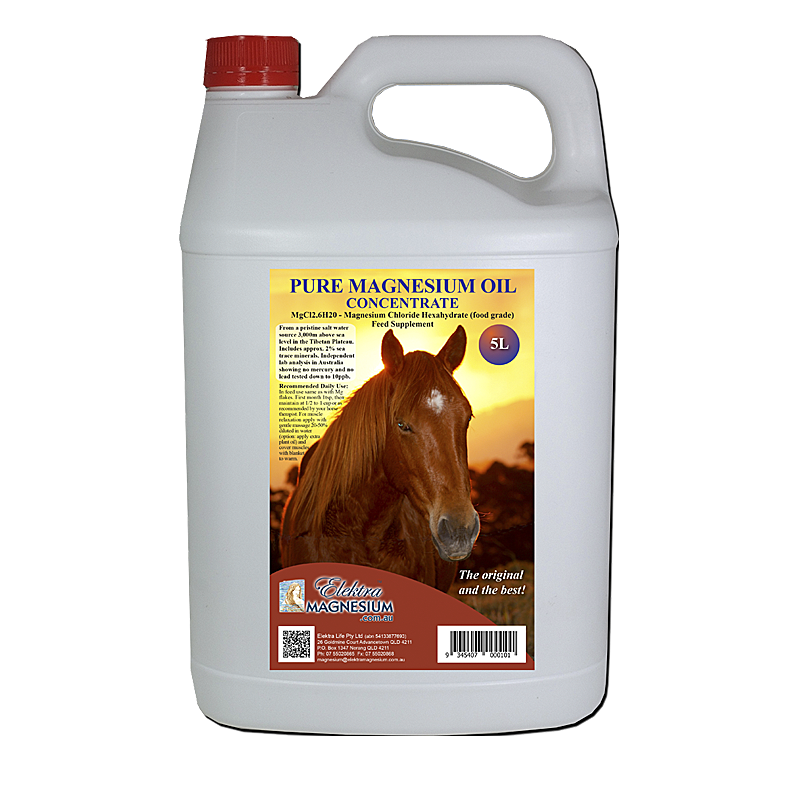 Pure magnesium oil concentrate can be added to water and feeds as an ideal natural food supplement to compensate for what a horse may not be getting from diet.